Are you an existing MailStore customer? Great news – it’s upgrade O’clock! Not yet using an archiving solution? Maybe it’s time to grab a copy of the trial and see what you’re missing? From keeping those mailbox sizes in check to keeping your email protected against accidental deletion and cybercriminals intent on cryptoransoming you, MailStore offers businesses of all sizes attractive benefits. 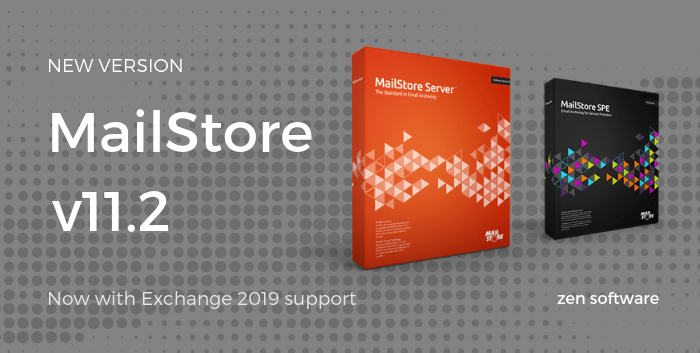 Now, MailStore, the popular email archiving software, available as both the classic on-premise version and the Service Provider Edition for MSP’s has released version 11.2 which features Exchange 2019 support (due to be released shortly). 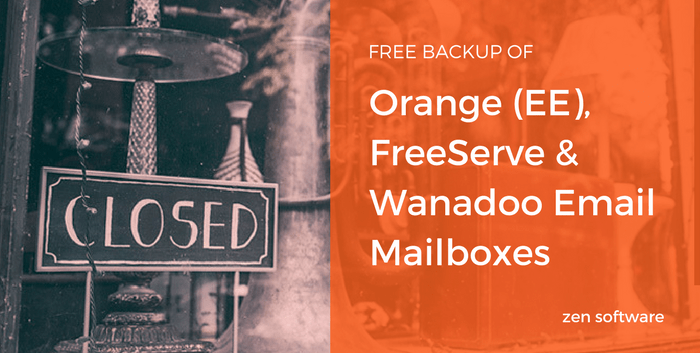 Users of Orange (EE), Freeserve or Wanadoo email accounts will need to start thinking about moving to an alternative email provider, following Orange’s recent announcement to close the Orange Email service on 31st May 2017. If you’re an Orange Email customer and looking for a simple way to take a copy of your historic email before the service terminates, look no further than MailStore Home, the completely free version of our paid product aimed at businesses. 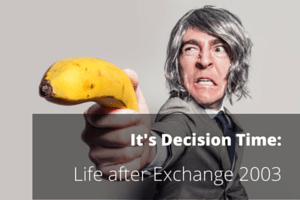 Back in April 2014, support for Exchange 2003 was officially brought to a close by Microsoft. Among those impacted were the vast number of smaller companies using the hugely popular Small Business Server 2003. Many moved across to alternative solutions early doors, but faced with unwanted expense and the potential for significant disruption, many sensibly remained firmly in the “if it ain’t broke, don’t fix it” camp, putting off the decision for as long as possible.